No matter how much you love them, it’s possible that you have been neglecting one of the most crucial parts of your dog’s health. Keep Those Pearly Whites Sparkling! Did you know that keeping your dog’s mouth healthy is critical to their overall well being? It’s true! All dogs need to have their teeth brushed regularly to prevent bacteria from causing infections, pain, or something more serious. 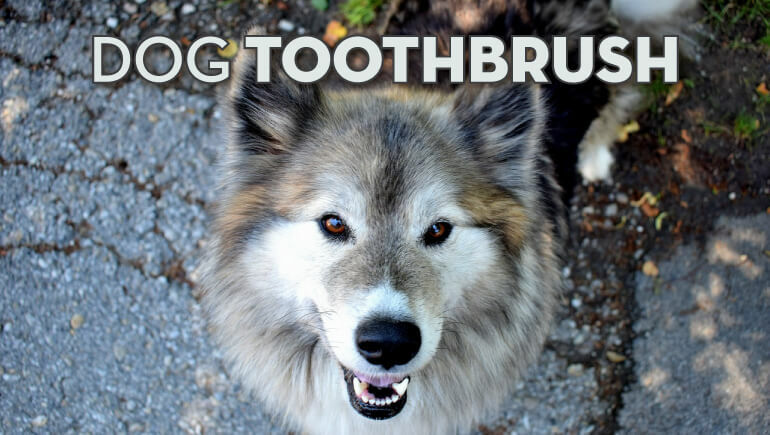 To take proper care of your dog’s teeth, you need to have the best dog toothbrush. Rather than sort through hundreds of dog toothbrush reviews, rely on our expert list of the top 5 choices in 2019! The Virbac C.E.T. Pet Toothbrush is a simple but effective choice of toothbrush for your pets. C.E.T is one of the veterinary dental care brands that has existed for more than 20 years, and their products are often the top rated in their categories. They make different toothbrushes for different sized dog mouths; the toothbrush I’ve linked here is specifically for small or toy dogs with small mouths. The brush has a small head with a reverse angle which makes it easy to use in a small mouth. The brushes for larger sized mouths similarly have specific features to make them more effective. This means that you can be sure you’re giving your dog’s mouth the most effective clean possible - no matter what their size is! The next brush to consider is the Vetoquinol Enzadent Dual-Ended Toothbrush. I love this brush because it has two ends, making it easy to get the most thorough clean! This brush has two different sized ends, and both ends are made with bristles that will be effective at loosening and removing any debris from your pet’s mouth, no matter what their size is. While the length of this brush might seem like too much, it’s actually the perfect length for being able to comfortably reach all teeth. Use this brush to combat tooth and mouth illnesses with regular brushing. Nylabone is known for making unique dental devices, and their Advanced Oral Care Dog Finger Brush is no different! Finger brushes are made to fit around your finger, and then you use your finger to brush your dog’s teeth. This might seem a little weird, but for some owners, this is the only way they’re able to get a brush into their pet’s mouths. The finger brush is meant to be less intimidating to dogs because they are more used to you than they are to a long brush. Using this type of brush regularly can reduce and remove tartar and debris from your pup’s mouth for a healthier dental life. The Sentry Petrodex Veterinary Strength Dental Care Kit is the best toothbrush for small dogs. The design of this 360-degree toothbrush is incredibly unique, and it does a great job of getting into all areas of any small dog’s mouth to ensure they are clean. 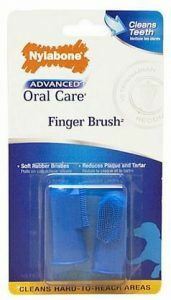 Plus, the kit includes a small regular toothbrush head, a plaque scraper, and a small finger brush. With this kit, there’s nothing else that you will need to make sure your dog’s teeth and mouth are fresh, healthy, and smell great! The included toothbrush in this kit is also very high-quality. Not only does it fight plaque build up, it is actually a whitening toothpaste that has micro-polishing agents inside to ensure a great clean. Plus, it has mint and chlorophyll to eliminate bad breath. The final toothbrush today is another great kit, this time created by Nylabone. Their Advanced Oral Care Triple Action Dog Dental Kit also works to give you everything you could possibly need to keep your dog’s mouth healthy. The toothbrush included in this set is sized to fit in all dog mouths from small to large, and it is a triple action toothbrush. As you brush, one easy motion will push the bristles around all sides of the tooth so you don’t have to go over the same areas too many times to get them clean. This kit also includes Nylabone’s Denta-C toothpaste, which includes a fantastic blend of ingredients that have been shown to reduce the amount of bacteria-producing plaque. If you have a toy dog or a dog with an unusually small mouth, be aware that this brush might be too large to be reasonably functional for your dog. Not only is keeping your dog’s teeth healthy critical for their wellbeing, but it also helps to prevent bad breath and stinky stool. When your dog has bacteria buildup in their both, it can cause their gut to act up as well. Keep their teeth clean and well-brushed is the best way to prevent a number of common problems you might be having with your dog. Use the best dog toothbrush to save yourself from these woes. What kind of toothbrushing routine do you use with your dog? Share your strategy in the comments below! Best Dog Shampoo for Odor: Squash the Stink!